SaveOn-Plastic-Models.com is brought to you by Hobbylinc.com. Family owned and operated since 1971, Hobbylinc is dedicated to providing the largest selection of hobby supplies at the lowest possible price with a dedication to providing excellent customer service. A re-release, Premium Edition kit containing 2nd generation moldings. 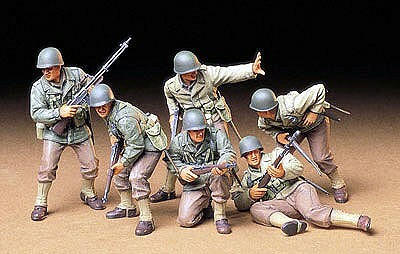 These figures are stunning replicas of German armored infantrymen during the Eastern Front campaign of World War II (Karachev 1943). Amazingly accurate, Gen2 stick and egg grenades. Intricately detailed headsculpts. BONUS set of very lifelike Dragon Styrene 100 headsculpts. 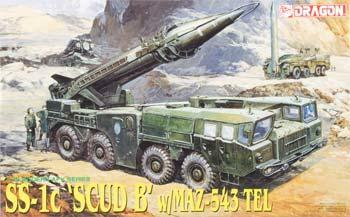 A stunning replica of the SS-1C ''Scud B' w/ MAZ-543 TEL This kit allows you to build 1 of the following 5 versions: Iraq, USSR, Poland, East Germany and Czechoslovakia Finely engraved display stand for displaying the Scud B missile by itself Poseable missile launch arm with detailed working hydraulic jacks and missile arresting arms Movable missile launch base to rotate the rocket from stationary to launch mode Fully retractable support legs stablizing system Superb under-chassis and detailed suspension system Positionable doors Interior detail in driver compartments, commander's station/outboard firing control station, missle fuel and pressurization monitoring station and target acquisition and calculator's station Waterslide decals printed by Cartograf Illustrated assembly guide. Small unassembled pieces molded in green and attached to sprue trees. Weaponry includes an M1 rifle w/ grenade launcher, an M1 rifle (Garand), an M1A1 sub-machine gun (Thompson), an M1 carbine, a. BAR M1918A2 (Browning Automatic Rifle), and a grenade. Other accessories include a holster, a helmet, a canteen, a bayonet, plus two shovels and a meat can pouch. This is set contains 1/48th scale accessories for creating dioramas with 1/48th scale aircraft models. This set is US Aerospace Ground Equipment Set The items in this set are typical of the support equipment found on modern US military airbases. (1) A/M32A-60A Generator Set - Provides external power and high pressure air for starting jet and turboprop aircraft. 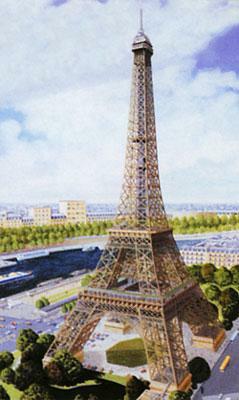 The Eiffel Tower was built in 1889 for the Universal Exhibition. While it was expected to remain standing for roughly 20 years, it is now entering its 21st century. The tower became a long distance communications antennae in 1901, and later became the home of a permanent radio station in 1906. In 1921, the first public radio broadcast in Europe came from the antennae atop the tower. 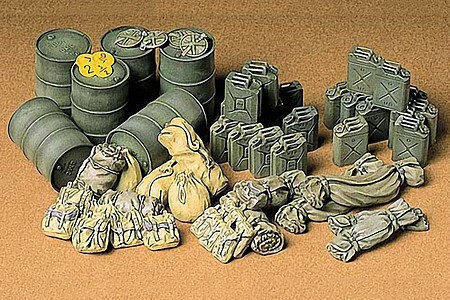 This is set contains 1/72nd scale accessories for creating dioramas with 1/72nd scale aircraft models. This set is US Aerospace Ground Equipment Set The items in this set are typical of the support equipment found on modern US military airbases. (1) A/M32A-60A Generator Set - Provides external power and high pressure air for starting jet and turboprop aircraft. Plastic pieces attached to sprues and molded in green. Ready to assemble static display model. Recommended combination with #35228 U.S. M8 Greyhound or #35218 U.S. 2-1/2 Ton 6X6 Cargo Truck. Huge assortment of accesories includes. -Folded sleeping bag. -Duffel bag. -Barracks bag. -Canvas vehicle tops. 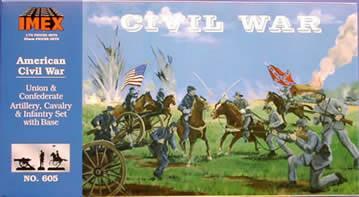 Finely detailed parts are molded in gray (Confederate) and bright blue (Union). Each side has 25 artillery figures, 1 limber wagon, 4 artillery horses, 3 cannons, 17 cavalry figures, 11 cavalry horses, 11. cavalry riders, and 50 total infantry figures. Finely detailed figures are attached to a sprue for organization. © Hobbylinc.com. All rights reserved. Images and Descriptions are representative only, actual items may vary. Prices subject to change without notice. Hobbylinc maintains no responsibility for inadvertent errors. 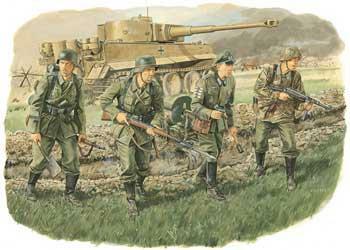 hobbylinc.com is a full line hobby shop which carries plastic model figures, plastic model dioramas, plastic model building supplies, plastic model paint, plastic model, plastic, model, figures, dioramas, building supplies, building, supplies, model paint, model, paint, and much more.